Corky Miller, a fan-favorite, shows off his excellent facial hair-growing skills. Cincinnati Reds catcher Ryan Hanigan has had a rough start to the 2013 season. His batting average is .079 and his on-base percentage is an uncharacteristic .182. So the news today of him being placed on the 15 day disabled list isn’t surprising. Hanigan had been dealing with an injury to his right thumb, but Reds manager Dusty Baker said Hanigan hurt his oblique in the ninth inning of Frida’s game against the Marlins when he reached high to catch a fastball from Aroldis Chapman. The time on the DL will also help give his thumb time to heal. Between a sore thumb and a strained oblique, no wonder he was struggling. 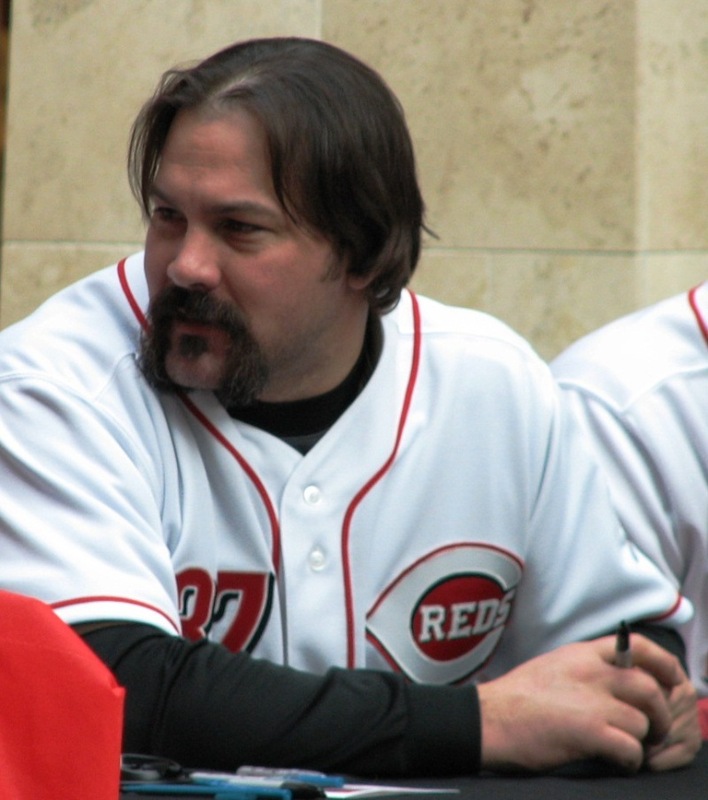 In Hanigan’s place, fan-favorite Corky Miller has been called up from Louisville. He, and his mustache, were in uniform for Sunday’s game. While he’ll get a few starts, the bulk of the catching time will be given to Devin Mesoraco. Mesoraco, unlike Hanigan, is off to a solid start this year. And with the presence of Miller, his mentor, he’s likely to continue doing well. Posted in Cincinnati Reds, NL Central, Wheeling and Dealing.